Another great layout as always! This color scheme is awesome for heritage photos. Love it! 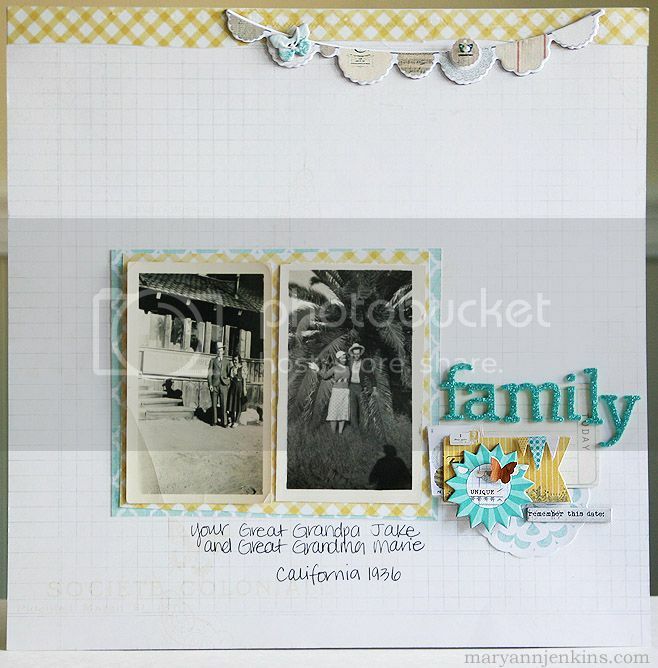 Gorgeous page Mary Ann! I love the Teal and Yellow on the white background and the banner at the top is so pretty! Absolutely AWESOME layout! I really love the colors! Beautiful layout. Compliments the photos nicely. 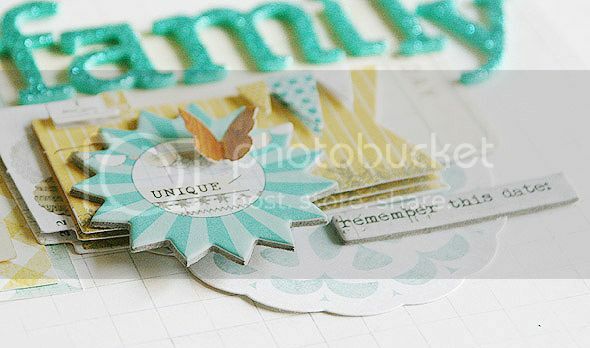 I really enjoy seeing the pages you are creating for your family album. I know my mother has a HUGE stash of them..and has her own plans for them...maybe I can just scan and print...hmmmm....there's an idea! Love this layout! Really makes me want to start scrapping older, family photos. Thanks for the inspiration!! Beautiful work! Love seeing white and lighter brighter colours with those old b/w photos.